Oszczędź $45.00 wybierając tę opcję już teraz. 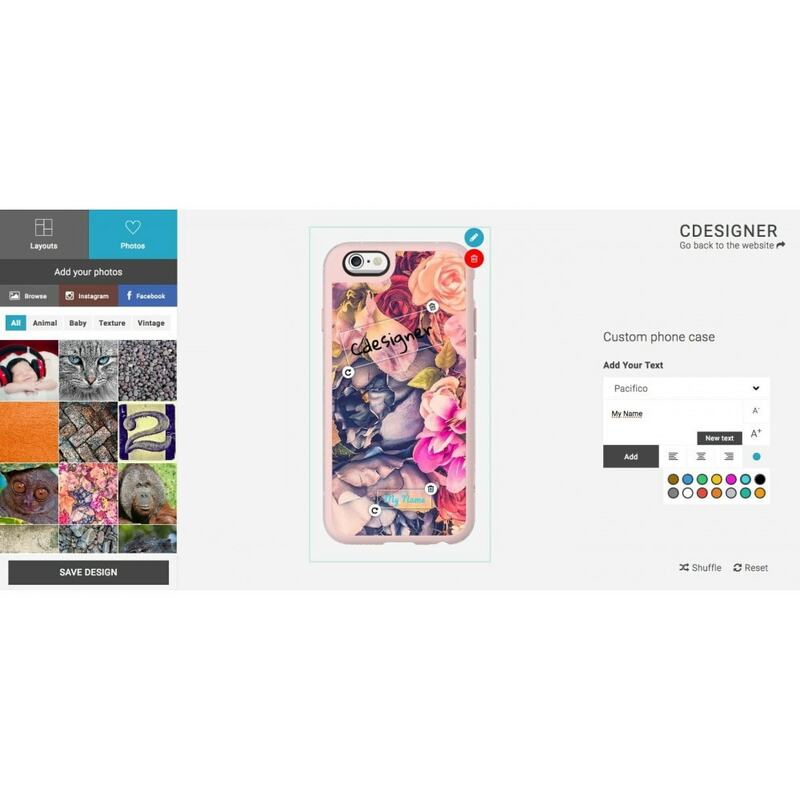 Offer a wide range of customizable product to your customers. 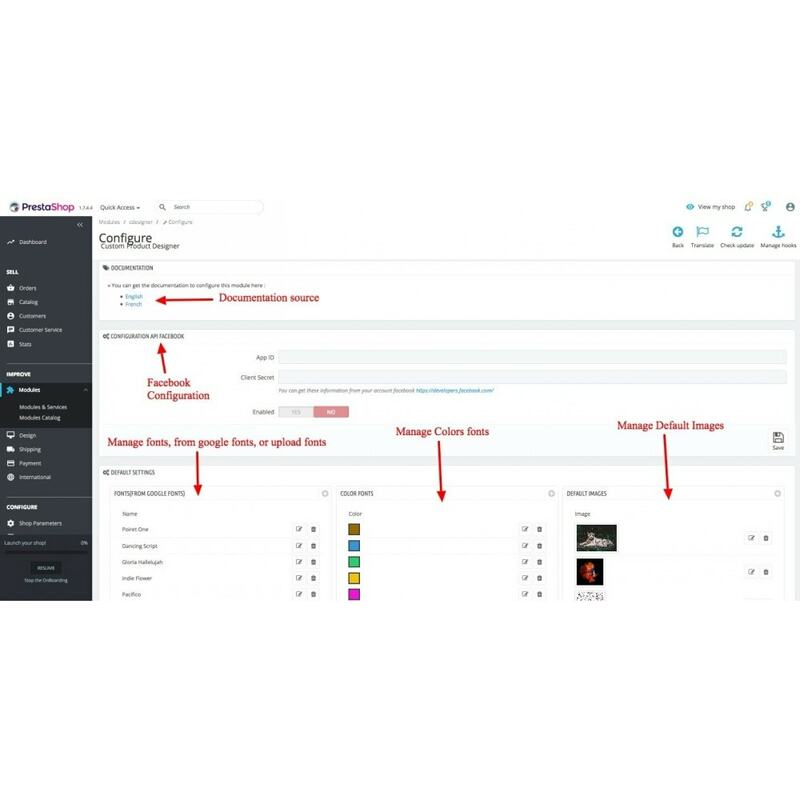 Fully manageable from the Backoffice (Product mask, Background Image, Texts, Default Images, Fonts, Color Fonts). 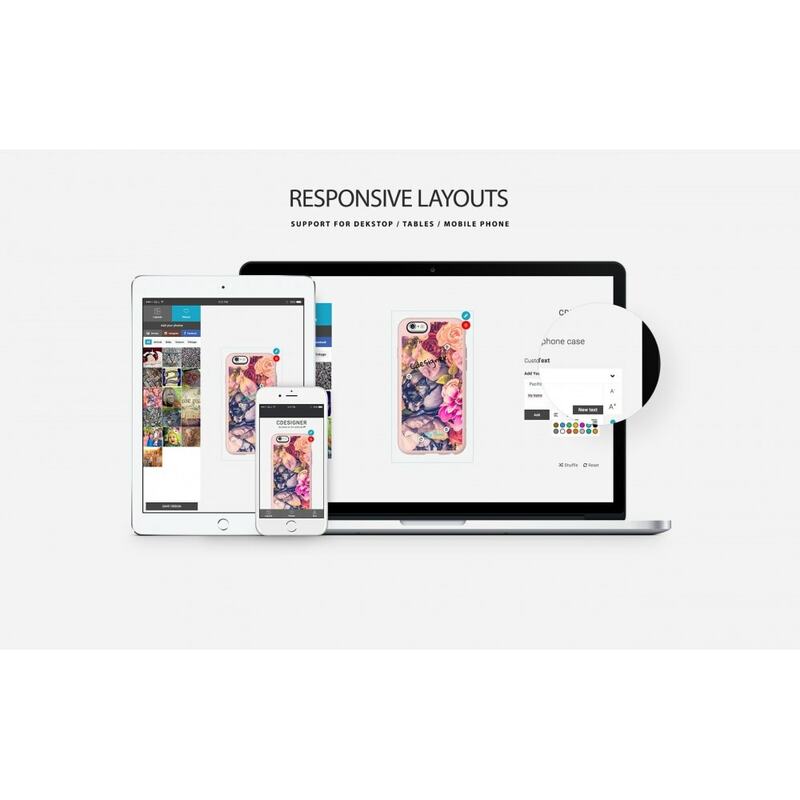 Free and Layouts mode to help your customer to design your products. 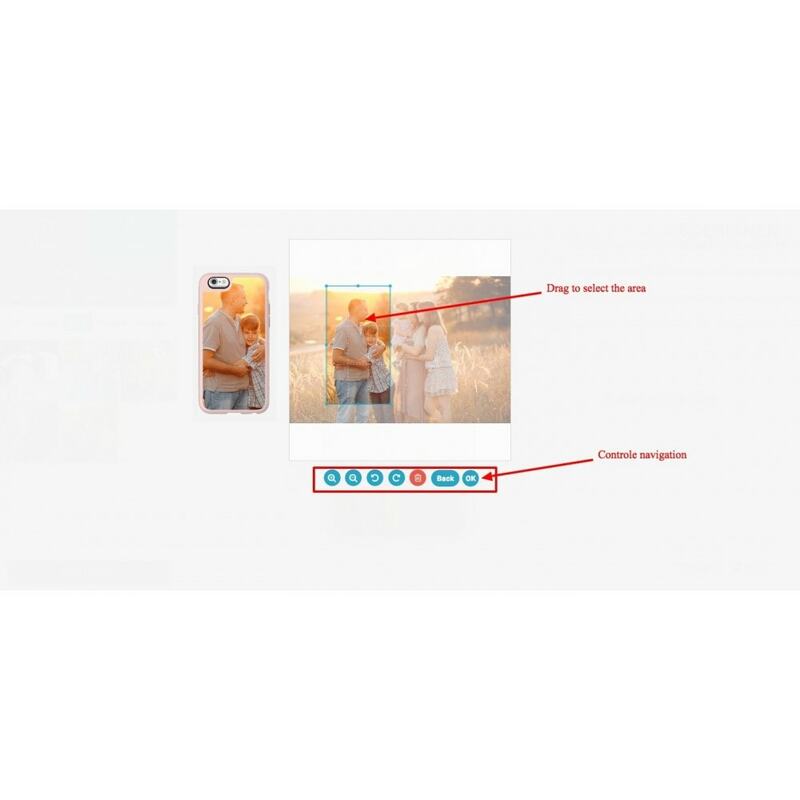 Customers can import their own photos from PC. 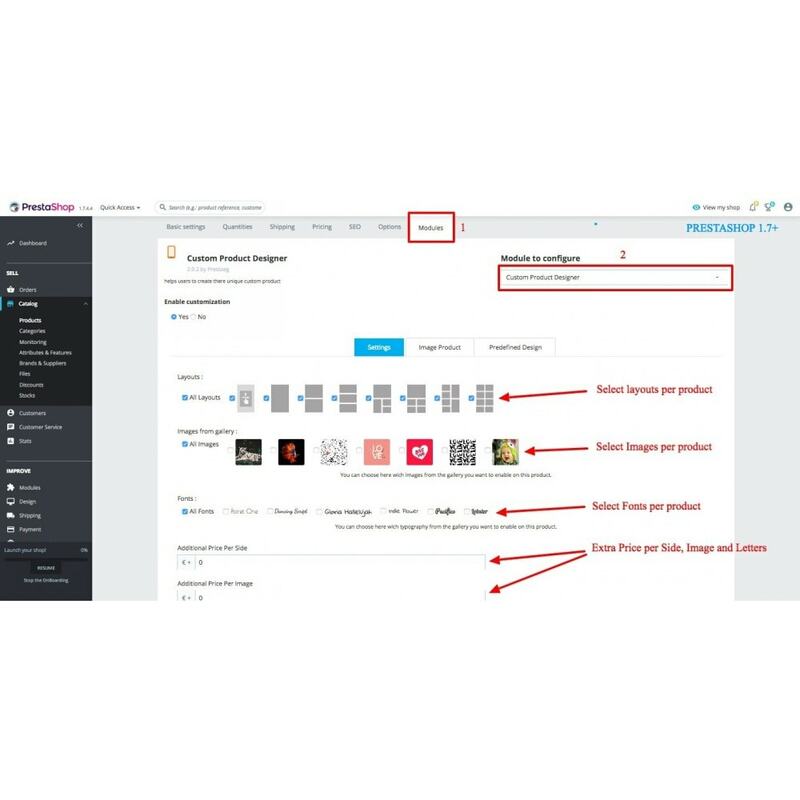 Add Unlimited Text to the design. All information about the design available in the order page. 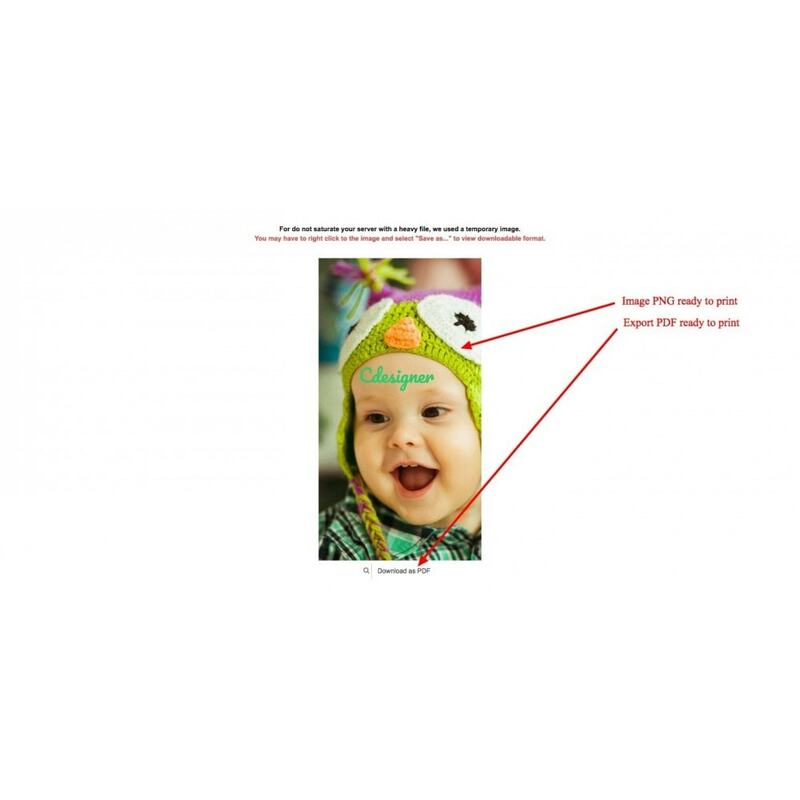 PDF Image ready to print available in the order page. 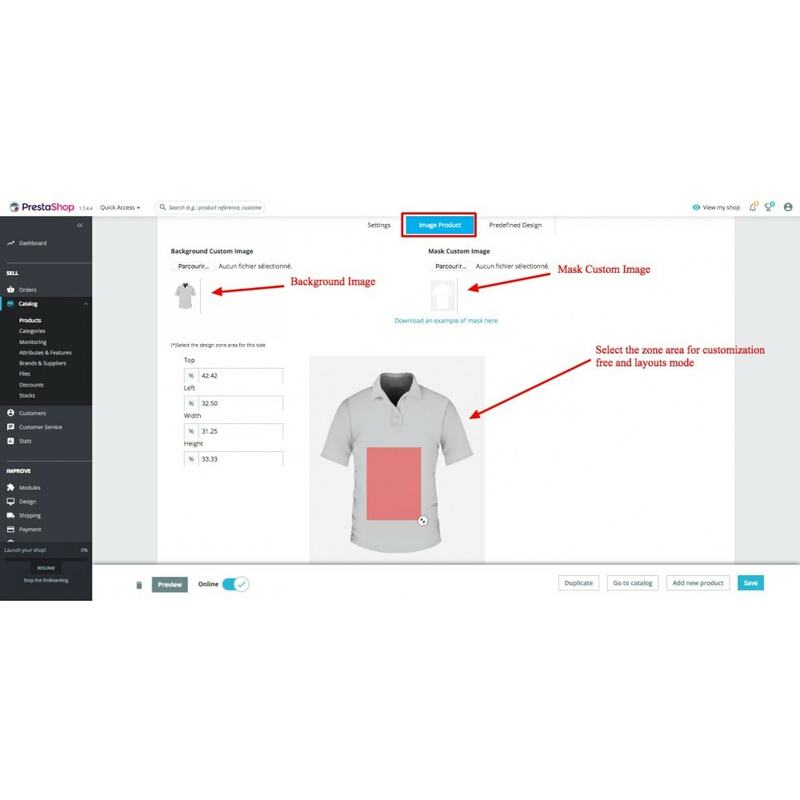 Define additonal cost per sides, images and letters (Prestashop 1.7+). 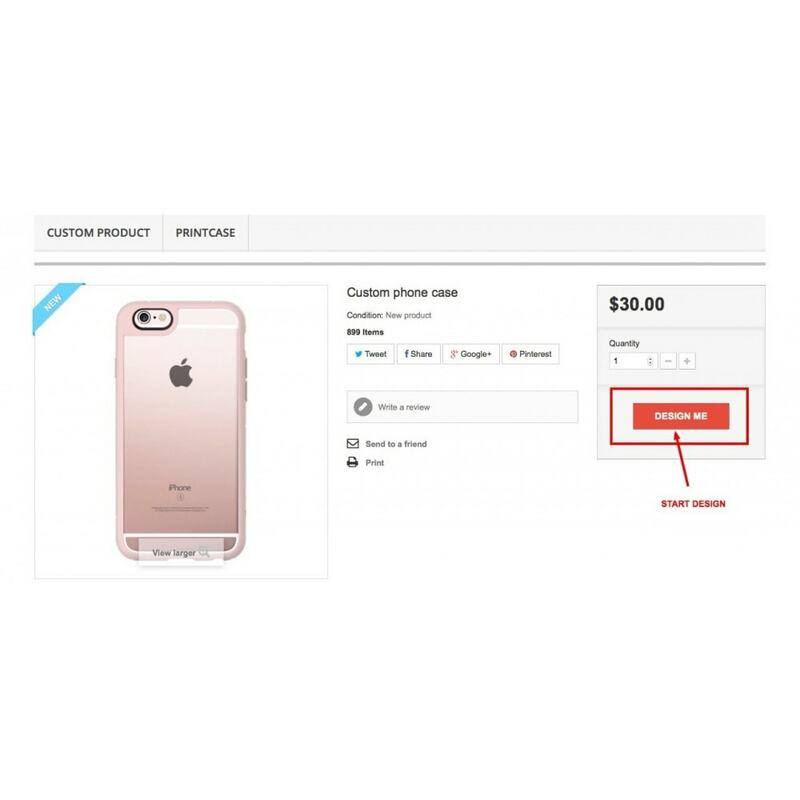 Automatic price calculation (Prestashop 1.7+). 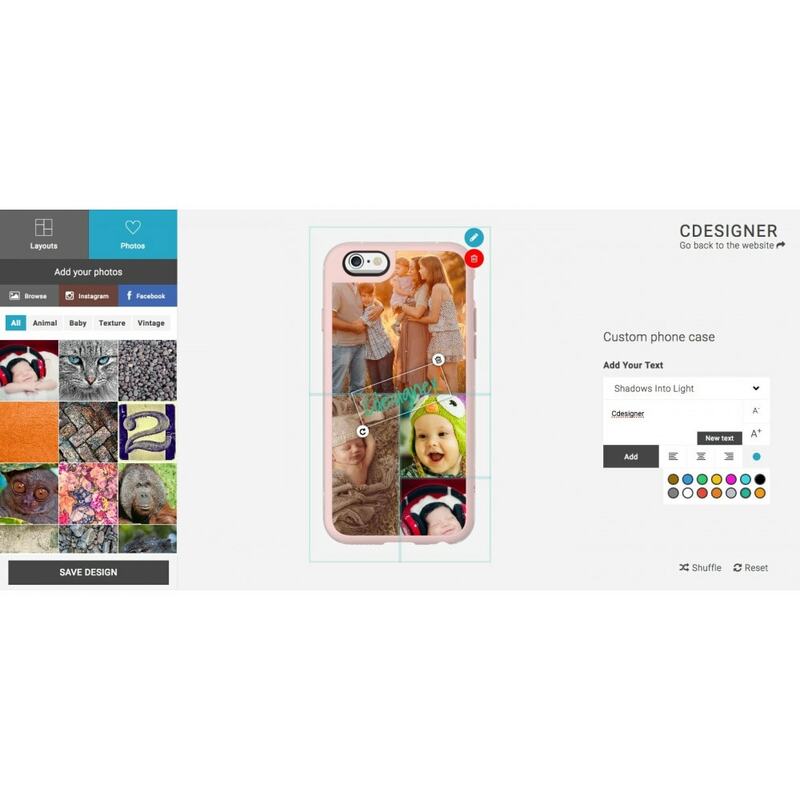 Select Images to show for each product (Prestashop 1.7+). 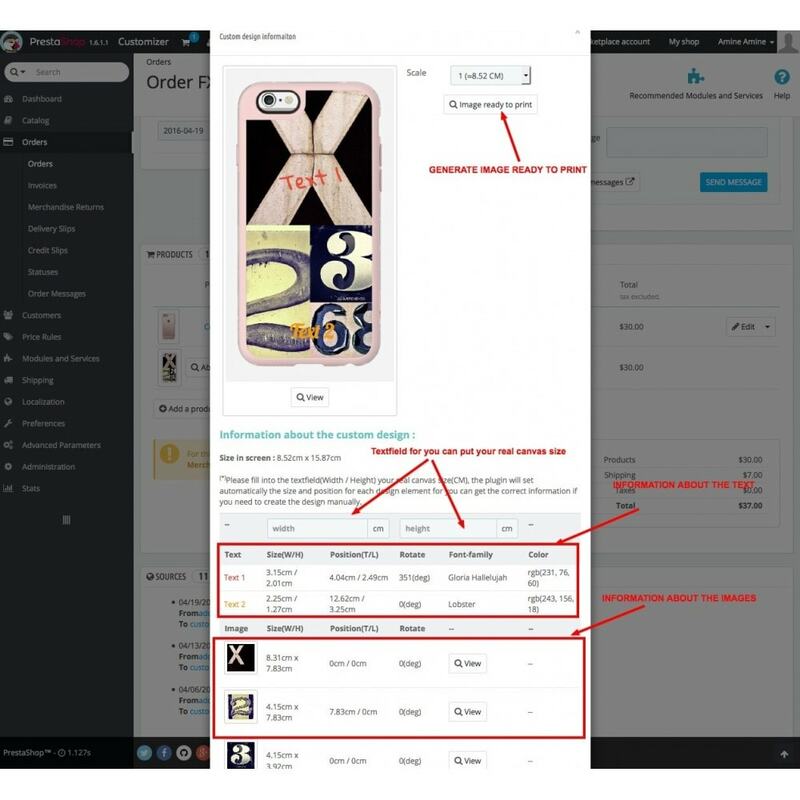 Select Fonts to show for each product (Prestashop 1.7+). 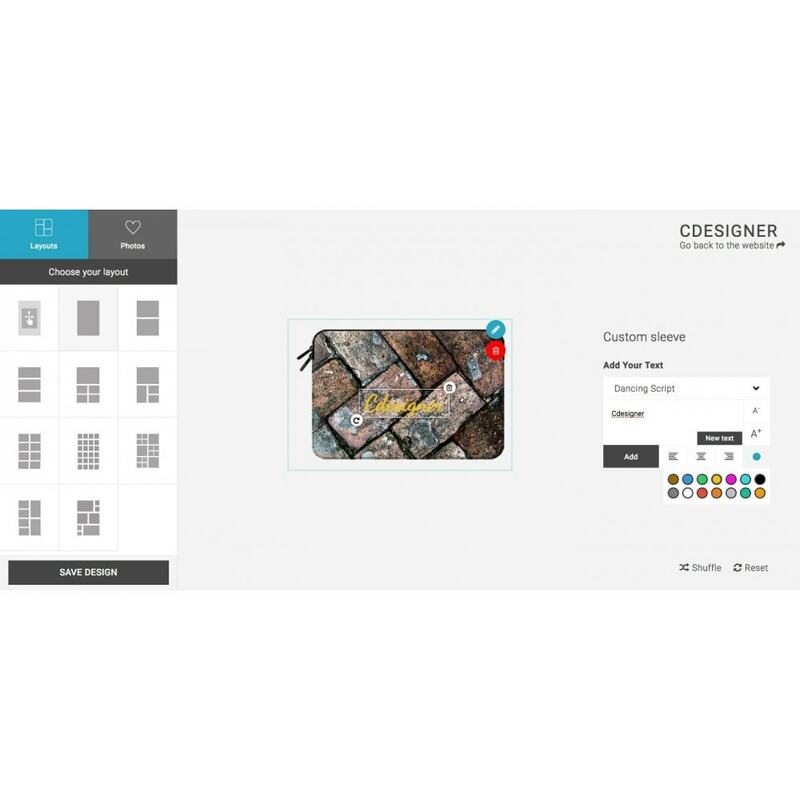 Select Layouts for each products (Prestashop 1.7+). 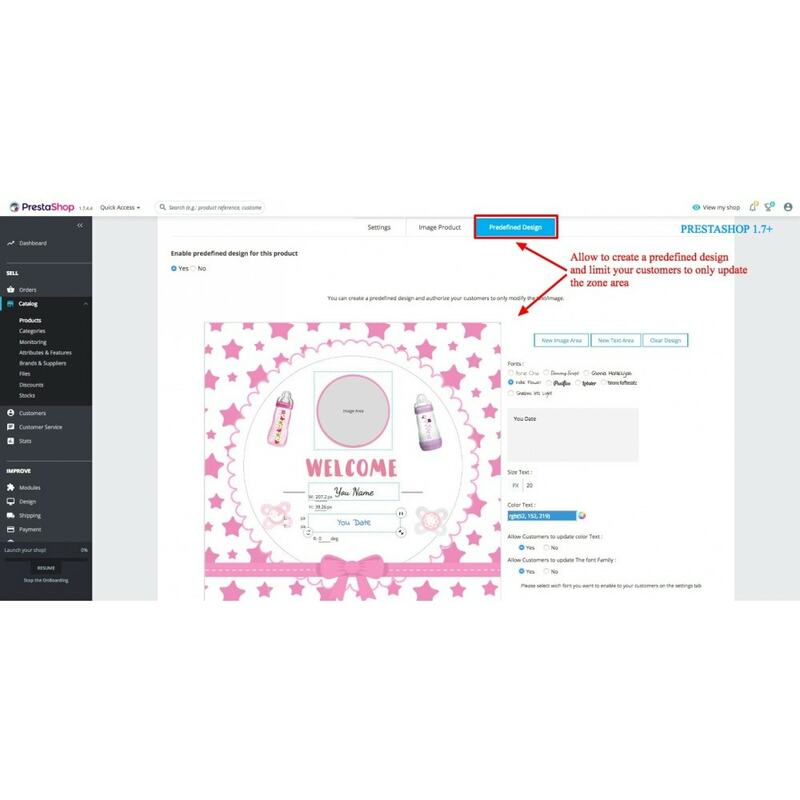 Create a predefined design ( Image area, Text area) and limit your customers to only update those zones (Prestashop 1.7+). 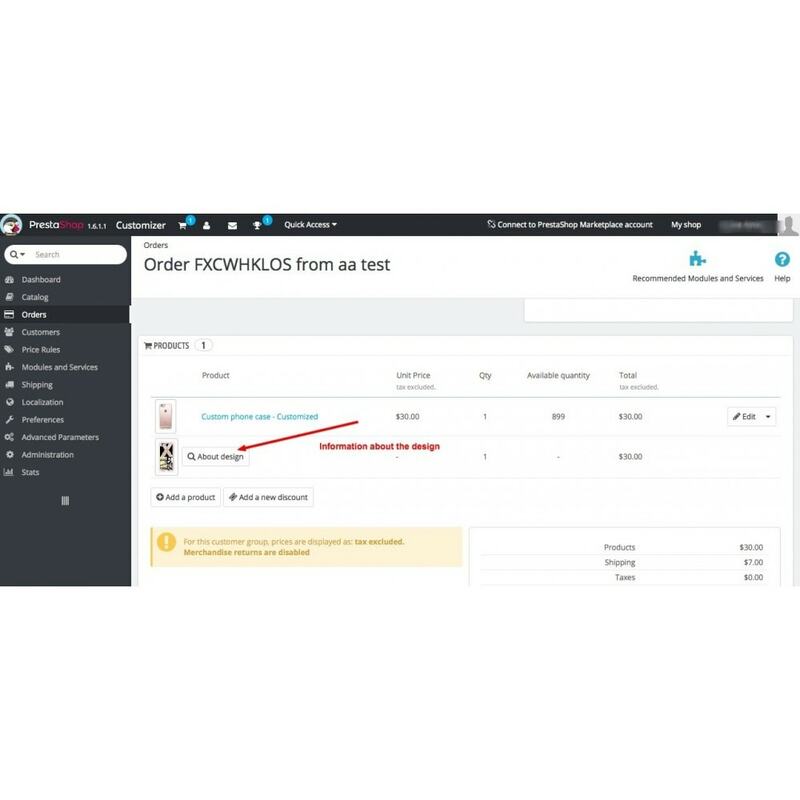 2) Browse the "Custom Product Designer" at Modules list And click on the “Install” button to install this Module. 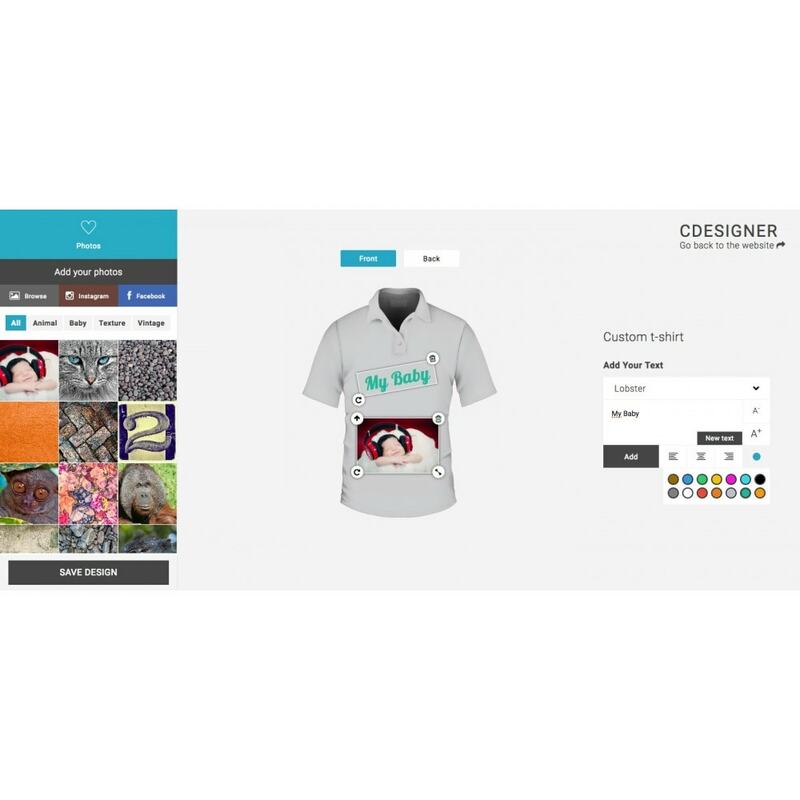 4) After go to CATALOGUES > Product > TAB(custom product design) > and enable the customization for your product.